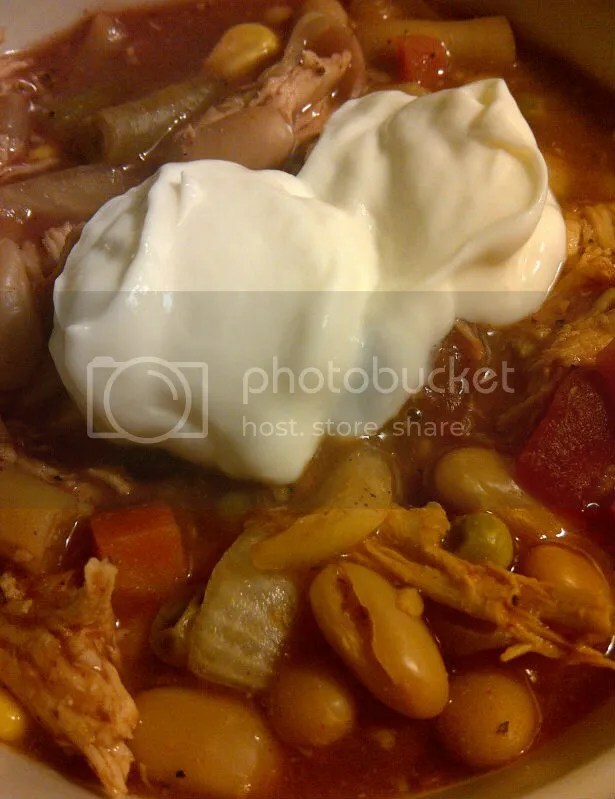 Last week’s big pot meal was a white bean chili I made in the crockpot. It was SPIIIIICY, but so good!! I took this stove top recipe, minus the yogurt, oregano, cilantro, adding lots of cumin and cayenne pepper. I just threw all the ingredients into the crockpot instead, of making it on the stove top, because I’m ALL about my crockpot! !